Google has confirmed that its licence to operate in China has been renewed, something it insisted it was always confident of receiving. 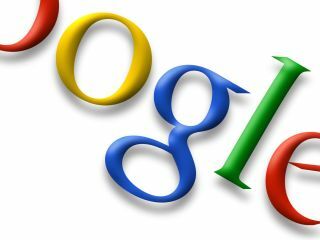 Google updated an earlier blog about the situation to state that is was 'pleased' that the licence had been renewed. "We are very pleased that the government has renewed our ICP license and we look forward to continuing to provide web search and local products to our users in China," said Google's statement. In the past few days the company had outlined its difficult relationship with China, which has seen Google.cn redirected via Hong Kong and explained that it would change its strategy to ensure that it was not excluded from the nation. "...it's clear from conversations we have had with Chinese government officials that they find the redirect unacceptable—and that if we continue redirecting users our Internet Content Provider license will not be renewed", explained David Drummon, Google's chief legal officer. "Without an ICP license, we can't operate a commercial website like Google.cn—so Google would effectively go dark in China." "Over the next few days we'll end the redirect entirely, taking all our Chinese users to our new landing page—and today we re-submitted our ICP license renewal application based on this approach. "As a company we aspire to make information available to users everywhere, including China," added Drummond. "It's why we have worked so hard to keep Google.cn alive, as well as to continue our research and development work in China. "This new approach is consistent with our commitment not to self censor and, we believe, with local law." The Chinese authorities seem to agree.